Typically dry-aged meat is available only in elite steakhouse restaurants or high-end specialty butcher shops, at a cost far beyond the pocketbook of most consumers. But now this ultimate expression of meaty flavor is available to all, with the surprisingly simple but detailed instructions in this handy guide. All that’s needed is a small refrigerator, a fan, a remote thermometer, and this book. With these tools anyone can dry age beef, duck, goose, lamb, goat, venison and other game, and more. The book examines the cuts of meat to choose and how to trim them. Exact, step-by-step instructions for dry aging each kind of meat are covered in full. 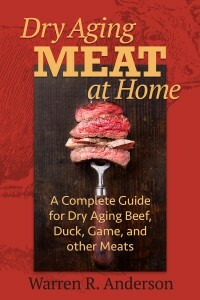 It addresses health and food-safety concerns in detail, and gives guidelines for how long each meat should be aged. Cooking notes are also included. 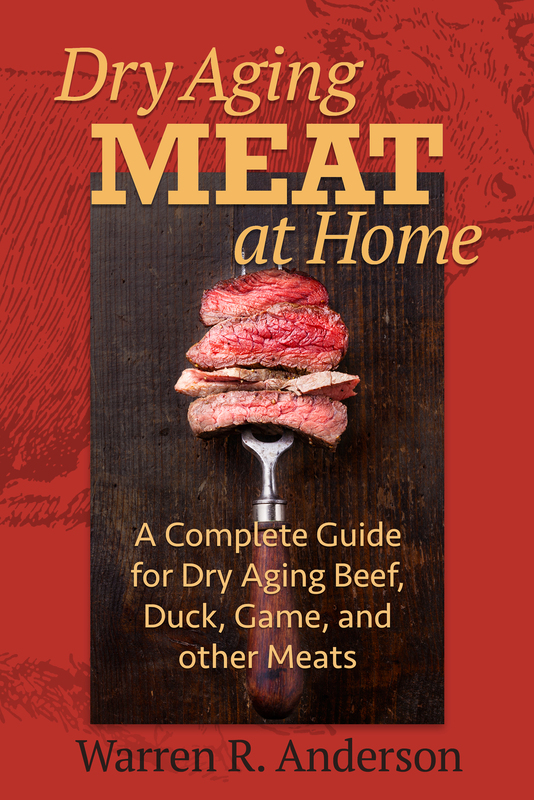 Any serious home cook will want to try the surprisingly simple methods outlined in Dry Aging Meat at Home. Warren R. Anderson is the author of Mastering the Craft of Smoking Food and Mastering the Craft of Making Sausage, both highly successful. An avid home chef and food-preparation craftsman, he has spent countless hours perfecting the techniques explained in this book. He lives in Aloha, Oregon.